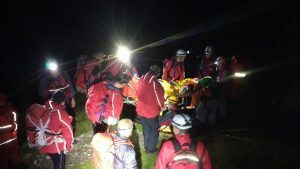 Thursday evening saw the ream called again after someone reported seeing a torch light plashing SOS above the Wasdale Head campsite. 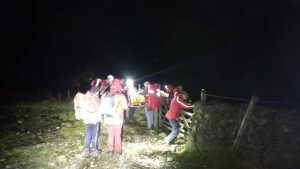 A local team member had already headed up the hill to investigate and soon reported back to the Team Leader there was a female with a broken ankle near the Ill Gill Head intake wall. 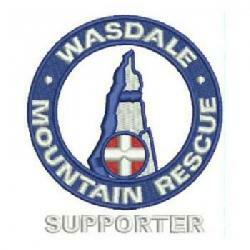 The team was mobilised and soon on scene. 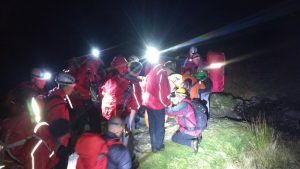 Once the patient was treated she was loaded into the stretcher and taken down to the awaiting ambulance.